Your free equity release guide will give you all the facts about equity release, and can help you to decide whether it's something you'd like to consider. You'll be able to download it straight away - and we'll post one out for you too. 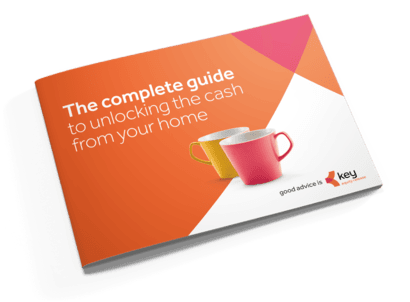 Our free equity release guide gives you all the facts about unlocking cash from your home to help finance a better retirement. At Key, we believe everyone should have the freedom to do what matters to them. We want you to enjoy the fulfilling, worry-free retirement you deserve. That’s why we’ve made getting the facts and information about equity release easy. Our guide is free to download and we’ll pop a copy in the post for you at no extra cost. Remember, good advice is Key. 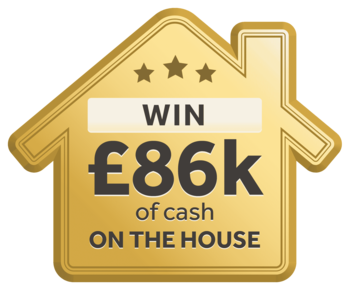 To celebrate our 20th anniversary, we're giving one lucky homeowner, aged 55-95, the chance to win £86,000 in cash. Attend a no-obligation consultation, which you can book after you use our free equity release calculator, between 1 April and 30 June 2019 to enter. Our equity release guide gives you everything you need to know when thinking about equity release. We’ll show how our award-winning service can help guide you through the equity release process so you’ll know exactly what to expect if you decide to go ahead. Additionally, you'll understand how a lifetime mortgage, which is secured against your home, will reduce the value of your estate. Whether it’s for home improvements, helping a loved one or getting on top of your debts, we’re here when you’re ready to get started on your journey to help finance a better retirement. You should always think carefully before securing a loan on your home. If you are considering equity release, we recommend you read carefully through is it right for you?